2017 conference, held at the picturesque Kwa Maritane Bush Lodge in the North West province’s Pilansberg area, was once again a successful networking event for both its sponsors and delegates. Topical presentations included one from guest speaker David Bousquet – president of IACLEA (International Association of Campus Law Enforcement Administrators) – on the US campus security perspective. Of particular interest and perhaps a plausible idea for South African campuses, is the presence in the US of dedicated law enforcement precincts at each university. There is a highly synergistic relationship between the formalised police presence and the universities’ security forces, allowing greater control over risks. Ken Annandale, founder of IntraSafe, was once again the master of ceremonies for the event and hosted the panel discussion – ‘Security within the new norm’, with participation by Dr Diane Parker (deputy director-general at the Department of Higher Education for Universities), Major General Mkhwanazi (SAPS), Roland September (acting executive director – properties and services at the University of Cape Town), Derek Huebsch (director – security services at Nelson Mandela University) and Paul Maritz (ex-SRC president at North-West University). Leonie Mangold, senior key account and business development manager at Powell Tronics and chairperson of ESDA, was invited to present a paper which focused on the company’s customised integrated solutions aimed at the education sector. The Powell Tronics display at Camprosa 2017.
provided the company with the opportunity to roll out its partnership strategy. The events, which took place in Johannesburg, Durban and Cape Town between late July and late August, underlined the company’s intention to increase its interaction with its valued industry partners. Gary Lowe, chief executive officer of Elvey, explains that the expo allowed the company to emphasise a number of critical elements that include the shift in user interaction towards mobile apps and the gradual shift in market direction towards the home automation sector. In addition, it highlighted the growing need for integrated security solutions and the continued shift of most technology towards IP convergence. 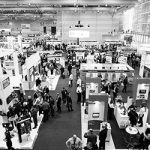 On show were a large number of security solutions from the company’s international suppliers including Risco, Networx, Impro, Permaconn, RDC, Dahua, Kedacom, Nemtek, Suprema, DSC, Fireclass, Optex, Fibaro, ET Systems, Fermax, Alarm Supplies, AccessLine and Sherlotronics. Fellow Hudaco Group company MiRO also exhibited a number of its IP wireless convergence products. All products were displayed on modular pods, allowing customers to easily view the various solutions and to interact with technical representatives from both Elvey and its suppliers. The two-day programme in each city commenced with an opportunity to experience hands-on demonstrations of the technology solutions. The dinner at the end of day one, hosted by Lowe and Talk Radio 702 presenter, Aki Anastasiou, afforded Elvey an opportunity to showcase its new corporate video which articulates the company’s core values and direction. Lowe emphasises that the future sustainability of companies will be assured when they adopt solutions that are designed for the long haul. “With a preponderance of low-cost copycat security products flooding the market, there will always be a temptation to compromise on quality for the sake of budget. This is however a very short-sighted attitude and its eventual failure as a business strategy is underscored by the endemic lack of pre-sale technical advice and aftermarket support these copycat suppliers are typically characterised by. South Africa witnessed the end of an era and the beginning of a new one about two years ago when ASSA ABLOY bought Impro Technologies. Fortunately the transition was smooth and Impro and its customers and users were able to continue as normal without any unpleasant surprises. July 2017 saw the end of another era as Errol East steps aside as the MD of Impro. It also sees the start of a new era as ASSA ABLOY has appointed Mike Shipton to take over the reins as MD. Hi-Tech Security Solutions spoke to Shipton and East about the changes. The past three months have been a transition period in which East has handed over to Shipton and assisted him in getting to know the company and the people. With the transition period behind them, both are confident that the company is in good hands going forward. The company East leaves behind has a long history of innovation, being one of the first, many years ago, to identify the importance of RFID technology in the access control market. East and his team steered the company through a variety of market changes and were right on target to go to market with new solutions when the access and identity market moved from card-based access to biometrics, cloud and mobile technologies – where Impro is again leading the field. 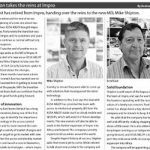 Impro has proven itself as a top-tier local manufacturer over the years with its own engineering and development team keeping the company ahead of the field. 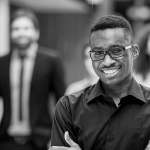 When the company decided to change its approach and move into the cloud space before the launch of Access Portal, Impro’s engineers and developers spent 18 months undergoing specialised training to ensure they were able to come up with solutions that encompassed the latest technology. In addition to this, East says the deal with ASSA ABLOY has provided the team with access to intellectual property (IP) from the ASSA ABLOY stable (such as cloud, mobile and SEOS IP), which will assist it in future developments. The new owners will also be able to assist in the further expansion of Impro into Africa and beyond. The company currently exports to 60 countries around the world. Despite Impro’s history of success, Shipton adds that more is yet to come. While reticent to talk about new products the company will be launching later this year and in 2018, he says Impro is in a good position to leverage its current technology in different areas. Access Portal, for example, is a data gathering platform used for access control at the moment, but it can be expanded into different areas to provide additional value to users – such as intrusion, CCTV, building management systems and more. Shipton is well aware of the legacy of East and the team at Impro, and says he wants to keep the business operating with the norms and values of a family-run concern. Trust and innovation has always been a key element of the company and he intends to keep it that way. He adds that the company has been run well and efficiently, making stepping into East’s shoes a little easier. He is also determined to keep Impro running as an independent brand going forward, and ASSA ABLOY is keen to support this endeavour while encouraging Impro’s expansion into Africa. The company will be appointing partners in the region, and Shipton says the channel strategy of Impro will remain as is in South Africa where Powell Tronics, Elvey and Access & Beyond distribute the brand. Impro will be investing in its sales team to further empower its business development consultants to assist value-added resellers and distributors, but selling direct or changing its way to market is not on the cards. Similarly, Impro’s South African manufacturing will continue as its efficiencies have given it a competitive advantage, even against countries renowned for cheap manufacturing. This while ensuring its products are able to stand up to the best in the world in terms of quality and reliability. In fact, the Impro factory already manufactures a number of products in South Africa that are sold by ASSA ABLOY companies (under their own brands) globally. With a long history of innovation, and many employees who have been with the company for years (some over 20 years), Impro is set to take on the next decade with a focus on innovation and collaboration among its teams to develop the best products in the market. And while East is retiring from the company, he will not be retiring from business. He already has a new business opportunity in the pipeline which he will address after taking a break, although this will not be in the technology realm. 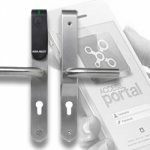 Impro Technologies has released the S-Series, a new range of hardware that seamlessly operates on the Access Portal management software. The S-Series is aimed at cost-sensitive markets and up to eight SIR readers can operate from a single module. The simple plug-and-play design of the hardware ensures easy installation and the ability to hot-swap modules without impacting the system makes the maintenance of the series as simple as possible. The use of three-core cabling further reduces costs and installation time. A key feature of the S-Series is the use of secure technology that provides enhanced protection against card cloning. Many traditional tag technologies have been compromised in the past, which can result in unauthorised users gaining access. With Impro’s 125 kHz RFID tags, this risk is reduced due to the proprietary communication protocol used. The system further encrypts communication between the hardware components of the reader, module and controller for added security. End-of-line sensing provides additional protection against tampering with cables, and an alert can be automatically sent should an event occur. Scalability is another feature of the S-Series as it can be used in businesses of all sizes, from two doors to over 2 000 doors. 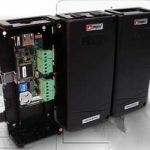 Installation flexibility is also ensured as the readers can be installed up to 150 m from the module, while controllers can be connected either via RS-485 or TCP/IP. The system hardware comprises of a cluster controller, S4 reader module, SIR reader and S-Card encrypted tags. The software is either embedded in the controller or installed onto a PC/server depending on the installation size. For more information contact Impro Technologies, +27 (0)31 717 0700, info@impro.net, www.impro.net. 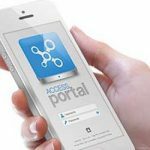 The Access Portal software aims to provide customers with increased functionality,coupled with a user friendly interface. 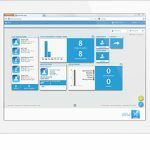 In line with this Access Portal 2.0 introduces a revolutionary dashboard view, which makes monitoring your access control system, simpler than ever. We’ve also increased the flexibility of the reporting, giving you the ability to quickly access the information you need. • Live! transactions: view transactions in real time from the dashboard. • Access group capacity: quick visualization of the number of people/assets tracked in an access group i.e. parking spaces available. • IP camera: view the video feed from an integrated IP camera (CCTV). • Commands: ability to enable threat level, resetting of APB (antipass back), or unlock a door. • Quick enroll: enables the operator to quickly enroll a new person or asset from the dashboard. • Monitor door: ideal for main entry visibility where remote unlock can be undertaken, or the threat level of the door changed in an instant. Also shows the latest transaction for the specified door. • Monitor person: integrates with the scheduled tour feature to monitor an individual undertaking on tour. • Shortcuts: just as in Windows you can create a quick shortcut to frequently used services, Access Portal now offers this functionality for fast access to areas of the software. This new feature allows a maximum capacity to be set for an access group. This is an ideal feature if you have a shared facility, such as parking, whereby only three bays may be used by the one company (access group). Should a fourth vehicle arrive, it will not be allowed access until another vehicle departs. In addition, this functionality is available as a quick view on the new dashboard function. Along with the ‘new access group capacity’ function is the ability to reset a cluster controller’s access group count – returning it to zero – and to reset APB (antipass back). This ensures that if people have left the area without tagging, perhaps by following a colleague out the same door, the count can be reset to zero in order for a security alarm to be automatically armed in the area. Often high security facilities require more than one person to tag in, before a door will be opened. Access Portal now allows up to five tags, from any five authorised users, to be required for the opening of a door. This means that a bank vault, for example, would require three authorized users to tag together, before access is granted. Access Portal is able to read and write secure encrypted biometric data to SEOS cards, on select Morpho Sigma SEOS enabled readers. This enables Impro to offer “biometric data on card” functionality for the specific Morpho Sigma devices. In addition, through Access Portal, you are able to exclude specific biometric readers and/or tags from an upload, for example, where you want permanent employees fingerprints uploaded to all readers, but temporary staff will use biometric data on card instead. • Move view: built in wizard to assist you in quickly moving a single, or multiple, person/asset from one site to another. • Reports: we’ve added a new filter type that shows custom field values, such as open text fields, for quicker searching of custom data. • WAN installation: you can connect to cluster controllers over a WAN, facilitating multiple sites communicating back to a central server. • HID Omnikey: the Omnikey enrolment device has been integrated in Access Portal, enabling the system to read tag code numbers of HID SEOS, iClass and MIFARE® cards. • To ensure the latest changes are available after an upgrade, we recommend clearing your browser cache. • There is currently no support for deleting a site that already has people and/or assets saved to it. This intentional restriction enforces auditing requirements. Impro hosted a breakfast at the end of 2016 in which the company highlighted its history, the products and solutions it is bringing to market, as well as how the company is progressing since the buyout by ASSA ABLOY. Impro’s MD, Errol East started proceedings with a quick overview of the company from the formation of Digital Controls in 1982 to the current business. He highlighted various products the company released over the years, showing how technology has advanced and how Impro has incorporated these advances into its products. East touched on a few pertinent inflection points in the company, such as its adoption of the OS/2 operating system in the ‘90s, which turned out to be a mistake. He also mentioned the company’s development expertise and the move to Agile Development principles in the late ‘90s and early 2000s. Agile Development sees companies making continual improvements through small incremental changes instead of massive new releases at distant intervals. He said one of the biggest lessons learned over the years is that one has to make products that are reliable and dependable. You can’t expect customers to remain loyal if they are continually facing poorly performing or breaking products. The IXP range is an example of one of the innovations from Impro, initially released in 1999. Today, all its historical development and innovations are built into the company’s current Access Portal solutions. The new range was the result of a complete redesign of the company’s products a few years ago, part of Impro’s drive to keep pace with changes in the industry and the market at large. At the same time, Impro is not abandoning its customers using older products which have a long lifespan as a result of the quality in the company’s design and manufacturing processes. East is adamant that Impro should continue to control its production to ensure the quality of the solutions ending up in customers’ hands. This will not change with the ASSA ABLOY acquisition. East says the company’s new parent offers Impro access to a broad range of intellectual property and global expertise in a variety of fields, but it expects Impro to continue operations as normal. ASSA ABLOY buys into winning solutions, but then allows the company to continue its successful operations while giving it a broader scale in which to operate. Impro’s ability to integrate with other systems in the market was also demonstrated, such as the work the company has done with Morpho readers, Nedap long-range readers and Aperio electronic locks. Impro has also adopted HID Global’s mobility applications which allow users to keep their access and identity credentials on their smartphones. Hi-Tech Security Solutions surveyed four leading local manufacturers to get their thoughts on the state of the South African security industry, and to catch up on their recent and imminent developments. Cathexis, which specialises in video surveillance solutions, has been developing electronic and software systems for more than 18 years. With blue-chip customers the world over, the company serves numerous vertical markets, including but not limited to retail, manufacturing, banking, healthcare, mining, education, transport, residential estates, business parks, city surveillance, government, remote monitoring, shopping malls, commercial property and mobile in-vehicle fleet monitoring. Centurion Systems’ geographical footprint – eight branches covering all of South Africa’s main regions, one branch in Nigeria and a distribution network in over 50 countries worldwide – is matched by the diversity of access automation solutions it offers. Established in 1986, the company supplies sliding gate motors, swing gate motors, garage door operators, traffic barriers, remote controls, keypads, proximity access control systems and intercom systems. Today the company still maintains its own R&D, design and manufacturing facilities. Impro has become a global player with offices in America and Europe, a network of distributors and partners that span four continents, and export markets over 60 countries. From its inception in 1978, Radio Data Communications (RDC) established a reputation for VHF communication equipment for alarm monitoring, and to date has supplied over 2 million VHF transmitter units and has more than 500 radio networks in South Africa and abroad. In keeping with its pioneering use of modern communication technologies, the company has expanded its capabilities into GSM and SMS based systems, and offers a number of value-added services including 24/7 technical support the year round. With South Africa’s traditionally robust market demand for security solutions, there is never a shortage of business within the country. What’s more, the reputations earned by local manufacturers in this sector extend far beyond our borders, with all four of the companies consulted attributing a healthy portion of their sales to export markets. Imported products are a constant headache for local manufacturers due to their usually low cost. However, locally made products do have an edge when it comes to such competition, as Centurion Systems’ Charl Mijnhardt explains. “Our products are designed and manufactured with the harsh African climate in mind,” he explains. RDC’s products are widely used on the African continent, with managing director Brent Andreka going so far as to say they dominate the market in the EAC (East African Community) region comprising Burundi, Kenya, Rwanda, Tanzania and Uganda. Last year the company installed its former technical manager, Maurizio Borsato, in Nairobi to service that market, and Andreka says his presence, combined with his many years of experience in Kenya’s security sector, are bearing fruit and proving beneficial to its customers. Impro’s sales and marketing director, Barry East, also insists that his company’s focus remains squarely on the African continent. “We build for our home base of Africa,” he explains. “This means our products must be able to withstand extreme temperatures, humidity and ingress; they must be robust and hardy; they have to operate on unstable Internet backbones; installation environments can drastically differ and our products need to provide for that, whilst still being technologically advanced. RDC’s primary focus when planning its new manufacturing space was on creative workflow and facilitating natural communication. Improvements to this area are ongoing, and fall under newly appointed production manager and process engineer, Johan Smith. In terms of new manufacturing equipment, the company places an emphasis on quality when it made substantial investment in state-of-the-art testing equipment and jigs, which Andreka says has resulted in positive results that extend beyond quality to improvement in output and productivity. As for Cathexis, Brecher says recent months have been less about upgrading and more about restructuring. The company has adjusted its strategy around providing the open platform CathexisVision video management software rather than DVRs, requiring greater investment in development. This goes hand in hand with a shift in manufacturing from DVRs to NVRs. While it is still enjoying the benefits of an upgrade to its manufacturing facilities to adopt cutting-edge technology a few years ago and with no firm plans for upgrades in the near future, East says Impro continually endeavours to enable local job creation and provide real stimulus to the local economies within South Africa. The company offshored some of its manufacturing for a time, but reversed this as East says it was difficult to maintain a consistent quality level. “By retaining our manufacturing facilities we are able to provide our customers with consistently high-quality products, rapid turnaround times and the option to produce small custom volumes, whilst still ensuring cost competiveness,” he states. To meet its requirements for additional capacity for the manufacture of in-house components, Centurion Systems recently installed and commissioned a CNC centre lathe, and will imminently begin installing a completely new electronic assembly line. This will include a solder screen printer, SMT machine, reflow oven, population stations and conveyor, wave solder machine and numerous new test jigs and fixtures. Efforts have not been exclusively in-house, however, as the company has launched two brand new swing gate operators – Vert-X and Vantage – that Mijnhardt says have been very well received by the access automation market. The online platform used for administering Centurion GSM devices has also undergone a major facelift in terms of functionality and feature richness, and Mijnhardt hints that the company will soon be announcing more developments in the GSM arena. An issue never far from the thoughts of South Africa’s manufacturing sector is the often cited shortage of skilled labour. Messages in this regard are mixed, however, across the companies canvassed, with some normal discrepancies occurring on an individual basis and others being regional in nature. “We don’t have any issues getting staff,” asserts Cathexis’ Brecher. 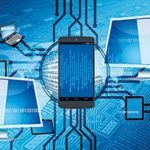 With a focus on providing solutions, rather than software, the company requires hardware, systems and software expertise. “Our policy is to get young electronic engineering graduates who are at the top of their class, and train them in the best practices that our senior engineers have developed over many years,” Brecher says. No industry is without its problems and, as with any other, the security sector does not exist in a vacuum. If they could be granted just one wish to make the going easier for their companies, the respondents’ replies were as diverse as the challenges they encounter. East believes that first and foremost, strong partnerships must be built between government and business to address the skills shortages through educational initiatives. “This must be the foundation,” he asserts, “then to unleash job training opportunities, perhaps with tax breaks for creating internship opportunities, so these graduates can secure real experience in the industry. Brief and to the point, Charl Mijnhardt’s message is all to do with the skills shortage. “Relax labour legislation. Strongly incentivise employers to engage in workforce training. Our current education system is in crisis,” he says. Equipped with a good game plan, a driven team, amazing support from suppliers and customers; Elvey Security Technologies has once again succeeded in promoting customer centricity by bringing quality solutions personally to customers. Set on a backdrop of some of South Africa’s most spectacular sporting stadiums; this year’s Expo kicked off in Port Elizabeth at the Nelson Mandela Bay stadium, and the finale was held at the FNB Stadium in Johannesburg. The Expo created a valuable learning and interactive experience for all involved. It provided a platform where Elvey could listen to customers’ needs and begin building tailored solutions for each unique request. Attendees had the opportunity of networking with highly knowledgeable sales staff and product specialists at information sessions that where held throughout the day. At this year’s Expo, Elvey launched a new in-house initiative called Blue Label. Blue Label is where Elvey offers additional services or product benefits to customers over and above current value added offerings. Wherever you see the Elvey Blue Label symbol you will find a commitment made to go above even their usual high standards of service and support. It’s a pledge that when you see the Elvey Blue Label symbol Elvey has gone above and beyond to deliver you peace of mind. Ultimately, that’s what the company strives for. Elvey welcomed RISCO to the intruder detection category late last year. 2015 was the brand’s début to the Elvey Expo experience. The RISCO Group are producers of high quality, reliable security products for every type of security installation. Their intrusion alarm systems cater for residential and commercial installations (eg financial institutions) including a full range of indoor and outdoor detectors. RISCO also offers a mobile application. At this year’s Expo a Tyco company, ALARM.COM, displayed its new home automation capabilities using Z-Wave devices and easy to use APP to manage one’s security and home with full energy management functionality on the DSC Neo alarm panel range. The DSC Neo was on display. RDC showcased its new SMX Unit which demonstrated great programming flexibility and features. Nemtek introduced its new agricultural range and also its pet friendly (low voltage) energiser. Optex and Siemens also represented the Intruder category. HeiTel joined Elvey for the first time at the 2015 Expo. This is a new brand that was added to Elvey’s CCTV range. HeiTel’s core competence is with the remote transmission and digital recording of CCTV systems. VisionLine introduced its new NVR, video platform and great quality analogue camera range. Cathexis exhibited its improved Video Management System and integration opportunities. Dahua launched its new range of HDCVI cameras and visitors were highly impressed with the quality produced by this range. Arecont Vision, whose cameras have in recent times been praised for the clarity of their video output in identifying a criminal in Texas, was also present at the Expo showcasing its range of high-end products with unique cameras that offer 180- and 360-degree views. 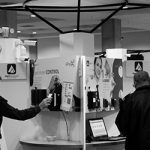 Elvey Security Technologies recently announced the addition of Suprema’s range of biometric security technology to the access control portfolio. Its extensive range of products include biometric access control systems (fingerprint and facial recognition), time and attendance devices. AccessLine introduced the Gramma Switch at this year’s show. This device is intended for use on the Jewish Shabbath and festivals and has been approved by The Tzomet Institute and is endorsed by the Beth Din of Johannesburg. Impro Technologies played an important role in assisting with registration at all the shows. It showcased its Portal System Controller with touch screen and Visitor Portal Module amongst other technologies. Elvey welcomed Tyco’s FireClass for the first time. FireClass joined Elvey’s fire detection category in the latter part of 2014. Elvey Security Technologies would like to take this opportunity to thank its customers, first time visitors, suppliers, the media and last but not least; its team for the support they have shown at the nationwide Elvey Expo. Biometrics for access control has evolved over the past few years and new trends are currently emerging as customer demand continues for increased functionality and user friendliness. “We have seen a number of important and relevant growth nodes that provide an improved user experience and that drive efficiency in organisations. Biometrics started with the introduction of fingerprint readers and the technology continues to grow in popularity, with thousands of end users demanding adding functionality to pure access control and as a time and attendance tool,” says John Powell, MD of Powell Tronics. 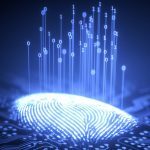 Powell says that fingerprint technology continues to develop and recently took an exponential leap into the arena of contactless user interface. This technology is finding great favour in the pharmaceutical, laboratories, mining, high-technology facilities and banking markets where non-tactile interfaces are preferred. Morpho’s MorphoWave is a frictionless biometric access control solution that captures and matches four fingerprints with a single hand movement. This touchless technology easily copes with dry and wet fingers as well as instances where there are no latent prints. The MorphoAccess Sigma dual fingerprint and vein readers have an extremely interactive user interface and provide failsafe security. The tablet-like user interface provides touchscreen convenience, with fake finger and face detection as well as duress finger capabilities. The Morpho 3D Face Reader provides extremely fast, hands-free access to sensitive and high-security areas. The technology is tolerant to both face angles and motion, making it ideal for uninterrupted access. The 3D Face Reader analyses the three-dimensional structure of the user’s face and achieves extremely accurate matching, with high throughput. Enhanced accuracy enables a low false acceptance rate and will not allow conventional 2D images to be used to ‘spoof’ the system. MorphoSmart Finger VP is a multimodal device capable of capturing and processing finger vein and fingerprint biometric data at the same time which gives greatly improved accuracy with enhanced anti-spoofing capabilities. In addition to these on-site technologies, Powell Tronics also promotes mobile access technology with its ATOM software. There are three variants of the Atom software – a basic entry-level biometric template distribution system for Morpho readers known as ATOM Core; the ATOM Charged module, which has all the functionality of ATOM Core, plus a time and attendance element; and the ATOM Fusion module which has been developed to provide integration with Impro software suites as a full T&A module. [container][text_output] Powell Tronics continues to evolve from its humble beginnings as simply a supplier of standard access control systems to a provider of advanced integrated security solutions. Leveraging its extensive access control experience along with successfully surpassing the ongoing demands of end users, the company strives to provide current and innovative bespoke access control solutions that maximise utilisation of access security, and provide improved return on investment and sustainable operations. By working closely with its customers, Powell Tronics has applied innovative thinking to its problem solving methodology. An energetic and youthfully staffed design department is responsible for developing software and hardware that is technologically on trend and works synergistically with best practice systems provided by the company’s local and international suppliers. Capitalising on the features and functionality of well-known brands is a primary goal for the team and has resulted in a number of pioneering solutions that are proving extremely popular in the market. Powell says that solutions like PT-GUEST, that use mobile Wi-Fi devices to control visitor access, the company’s ATOM time & attendance software and its cashless vending solution, are just some of the products that are experiencing high levels of uptake by end users. He adds that the company’s best-kept secret to date has been the development of its PT-AD software that integrates MS Active Directory with access control. The software PT-AD seamlessly bridges the gap between HR, IT and security by automating users’ physical access based on their network access. So when a new employee joins a company and a domain account is created for them, the HR information is automatically transferred to the access control system so all that is needed to complete the cycle is to allocate them a tag. When the employee leaves the company and their domain account is disabled, their physical access rights will be immediately revoked. Powell Tronics is not only the premier southern African distributor of Synerion workforce management (WFM) products for enterprise-wide solutions, but has also developed its own budget-friendly web-based time and attendance system – ATOM – for Morpho biometric sites or fully integrated into Impro access control systems. The company distributes leading brands from Golmar, Impro Technologies, Safran Morpho and Synerion, from four established centres in Johannesburg, Cape Town, Durban and Port Elizabeth. To assist customers with improved support, the company has implemented a strategic expansion programme that will provide a fully interactive experience with a boardroom and pre-sales meeting area where customers, consulting engineers and developers can discuss issues in a collaborative workshop environment. Powell Tronics places emphasis on improving skills in the industry and underlined its loyalty to customers by building a fully equipped training centre in Rivonia, to complement its existing Cape Town facility. In order to provide exemplary service to all facets of the security systems sector, training on biometric identification, certified Impro training and visitor management is provided. 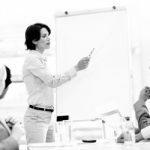 All products supported by Powell Tronics, including IP technology, electric locks, mobile solutions, intercoms, biometric fingerprint readers, 3D facial recognition and RFID readers form part of the training programme. The company’s stand at Securex was highly representative of its entire range of both renowned supplier brands as well as its own bespoke solutions. The response to its ability to readily integrate with other systems, its energy efficiency and ease of use of the Powell Tronics range was extremely positive. an online Web-based visitor management solution that streamlines the process of managing visitors to your facility. Barry East, sales and marketing director for Impro Technologies explained that as Visitor Portal is an online solution, it can quickly and easily be deployed anywhere in the country. In addition to registering visitors as they arrive on-site, the system makes pre-registering visitors quick and easy. Once registered, the visitor receives an automated email and/or text message notification, along with their single use access code. The notification automatically integrates into the visitor’s calendar for enhanced convenience. “The person undertaking the pre-authorisation should be an employee of the organisation, as this provides an additional level of authentication because the visitor is known to that person. This also ensures rapid traceability in the event of an onsite incident,” said East. Although technologically advanced, the focus was on keeping the system simple with an intuitive interface to ensure that no technical expertise is necessary to use the product. Visitor Portal seamlessly integrates into Impro’s Access Portal. This enables users to set up pre-defined access profiles and rule sets. In addition, all actions are recorded in the database for complete audit ability and reporting. [container][text_output] South African based Impro Technologies, pioneers in the access control sector for almost 30 years, recently announced a further expansion into Europe with the opening of a new office in Spain. Barry East, marketing and sales director of Impro said that pleasing growth in the European market had resulted in further investment in the region. “We have a solid footing in a number of European markets and the opening of the new office will further entrench our position, especially in Spain and Portugal. “Globally, access control is becoming a critical business consideration and our experience in South Africa stands us in good stead within international markets. We are able to bring world-class solutions that have proven themselves in arduous conditions. Couple this with the local office and on the ground support, and customers have the best-of-both-worlds. “This is the base of our growth strategy and our new Spanish office embodies this perfectly. We have a solid team in Madrid that have decades of collective experience in the access control industry, as well as an extensive product range to meet their diverse market needs,” said East. One of the crucial aspects of commercial security is visitor management. The security of any location with a constant flow of people is to no small degree dependent on the careful and effective control of visitors, contractors and anyone legitimately coming and going throughout the course of a day. A crucial aspect of visitor management, however, is privacy. In the past, companies paid scant attention to privacy and details collected from visitors, even details as sensitive as identity numbers, were handled carelessly. Today, privacy is becoming an important issue globally, and the introduction of the POPI Act, when it is eventually enforced, will have significant implications as to the collection, use and disposal of such information. • Barry East from Impro Technologies. Hi-Tech Security Solutions: Privacy is a major issue today. Many visitor management solutions read very personal information, such as ID numbers from drivers’ licences and collect phone numbers and so forth. Is all this information really necessary for access to a location? Why do they require this information and what do they do with it? Mark Paynter: There are two crucial considerations to the above. Firstly, occupational health and safety legislation and the physical security and risk exposure of an organisation, and secondly the protection and risk exposure of visitors’ and organisations’ personal information. Physical security and fraud: One of the biggest operational challenges faced by organisations in South Africa these days is physical security and fraud. Statistics show that incidents of armed robberies, intrusions and related occurrences continue to follow an upward trajectory. Commercial fraud also follows an upward trend year on year. This is forecast to increase with the current economic downturn. It is therefore vital that organisations mitigate and minimise their physical security and fraud risk exposure by implementing the latest solutions and proven best-of-breed crime prevention systems. All crimes start somewhere, and generally a crime begins with someone giving out sensitive operational information and with a syndicate ‘scouting’ the target organisation via contractors, security guards, casual vendors or company staff. Having a crime syndicate associate or scout on your premises is comparative to having a Trojan Horse virus in your company’s ICT system. It is dangerous, malicious, unwanted and often difficult to detect. By implementing a system which accurately records and verifies the visitors’ personal details and information, an organisation’s exposure and risk is drastically reduced and criminals opt to rather focus on a more vulnerable target, where their fingerprints and ID numbers are not recorded or verified. Occupational health and safety: The OHS Act states that organisations “shall keep a register of the entries and exits contemplated in sub-regulation (1) and that register shall be available for inspection by an inspector. So in terms of OHSA, an accurate visitors’ register is a legal requirement. Dependent on the environment, an organisation may be required by law to record and store all visitor information for up to 20 years. Protection of personal information: The recent implementation of the POPI Act makes it imperative for visitors to record, manage, process and store visitor information in a responsible and compliant manner. In my opinion, this is a good thing. I would far rather allow my personal details to be recorded and managed by a POPI compliant system than by a redundant visitor register where my sensitive information is susceptible to fraud, manipulation and misuse. Gary Chalmers: Most of the visitor systems in place today are outdated and stemmed from a safety requirement to know who was in your building, specifically in case of a fire or other emergency. However, in practice, the system most often translates to a ‘visitor logbook’, with information clearly visible to everyone, and in which most people submit inaccurate information at best. To add insult to injury, the completion of these log books is normally followed by someone manually opening a gate on the visitor’s behalf, thus losing any tracking information. Since the introduction of the POPI Act, these visitor books are actually in contravention of a person’s right to privacy, and are not in any way compliant with the Act. While the information being collected is often valid in terms of security and the right of the building owner or tenant to have access to information about people who visit their sites, the manner in which it is collected is no longer legal, nor does it actually fulfil the ultimate requirements of increasing security and providing information about visitors. Barry East: There is always a balancing act between security and convenience. The more security that is needed or wanted, the less convenience there will be for the visitor as more information will be collected to verify their identity. This information is also used in the event of a problem in order to contact and, if necessary, prosecute the offender. Hi-Tech Security Solutions: When collecting this information, what privacy issues should organisations take into account? What problems do they expose themselves to if this data is lost or stolen? Can they protect themselves by outsourcing to a guarding company and letting them be accountable? Mark Paynter: To collect and manage visitors’ information in a non-POPI compliant manner is not only illegal, but is also irresponsible and inefficient. The POPI Act carries penalties and even possible imprisonment for non-compliance. This is, in effect, a progressive legislative move, as it forces organisations to manage people sensitive personal information in a responsible manner. Traditional paper-based systems are widely abused and are generally not trusted by visitors. Industry studies have shown that more than 75% of the time the information recorded is illegible, inaccurate or incomplete. Apart from this presenting a compliance risk to organisations, it is also a security and fraud risk, because criminals know that they can gain access to an organisation’s premises without their details being accurately recorded. In terms of the POPI Act, an organisation must be able to prove consent by the visitor to store his/her personal information. This can be achieved via electronic biometric signature or digital signature pad, or may also be done via manual paper-based signature. The obvious challenge with a manual paper-based consent is that the consent documentation then also needs to follow a POPI compliant process, which in effect would defeat the objective of digitising the process. VM systems which claim POPI compliancy, yet have no proof of visitor consent, are in effect fraudulently misleading consumers. In terms of OHS legislation, organisations are required to store visitor information for up to 20 years. This however needs to be done in a POPI compliant manner. Organisations need to properly understand the critical importance of this responsibility and the onus which they are then placed under to operate VM systems which are compliant. To ensure correct and compliant VM processes is, in my opinion, a very specialised and detailed process. An organisation is ultimately responsible for compliance with POPI legislation, however, by outsourcing the process to a specialist service provider or security company, some of the risk and responsibility would naturally be mitigated. 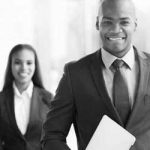 It is imperative to ensure that the company appointed to manage the VM process has a proven track record and that their system and process has been audited and approved by POPI experts. Legislation around POPI is specific and comprehensive. There are many service providers and companies which claim (even in marketing) that their VM system is POPI-complaint when in fact a basic overview of the system shows one or more non-compliance issues. This is misleading for end-users and is false advertising. An example is a VM system which claims compliancy, yet has no record of the visitor’s consent for their information to be recorded and stored. Gary Chalmers: As per the above, the POPI Act is very clear on the collection, usage, storage and disposal of information, amongst other items. Unless companies carefully and clearly stipulate their policies around all of these aspects of the data collection, storage and disposal, they are at risk, regardless of who is collecting the data on their behalf, and can be held personally liable (in the case of directors and officers of the company). Barry East: All sites should ensure they have the correct legal counsel depending on the usage and storage facilities used, to ensure they adhere to the relevant legislation. Further, each site has unique requirements/elements which need to be taken into account and a solution tailored to those needs, while remaining mindful of the legal obligation to ensure data security, regardless of whether an on-premise or cloud-based solution is chosen. This is no different to the situation with employee data or contractor data that is also collected in the normal course of business – the same rules apply. Hi-Tech Security Solutions: How can technology help in protecting privacy in the visitor management space? What proven solutions are available? Mark Paynter: The POPI Act is regarded by privacy experts to be both progressive and also aligned with best global practices for protection of personal information. In my opinion, this is a pocket of excellence for a very troubled South Africa. By digitising the VM process, full compliancy is not only possible, but is already commercially available as a standard offering via the EVIM platform. A VM service provider should be both knowledgeable and in compliance with personal information protection laws. Some visitor management systems take photos of visitors at time of check-in. If the photo is retained, it must be stored in a secured and protected environment. Hosting solutions and platforms should regularly be audited for compliancy and penetration tested for exposure and hacking. EVIM protects and secures visitor data not only in compliance with personal information protection laws but also in compliance with OHS act legislation. The EVIM solution conducts a real-time ‘live’ check of a visitor’s identity against a national database. This live ID check is not done against the DHA database as is often incorrectly claimed. This Live ID verification drastically reduces an organisations exposure to crime and fraud, and organisations which implement the EVIM Live ID checking solution have to date all reported a 0% crime rate since implementation. Gary Chalmers: iPulse provides a visitor management system called VisitorIQ, which when combined with our hosted database, BIOVAULT, provides a completely POPI-compliant solution for companies wanting to track visitors coming into or going off the premises. Used in conjunction with devices like our eSkan 250, vehicle registration discs and driver’s licences can be read to provide additional information about both individuals and vehicles entering and leaving the premises. 1. The information collected in this manner is accurate, up-to-date and reliable. 2. The data can be searched, tracked, used and disposed of in a measurable, audited manner. 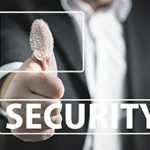 Barry East: There are a myriad of different solutions available in the IT world, as on-premise or in-cloud security is not unique to visitor management, or even access control. The protection of personal information, whether that is business documentation, IP or personal credentials, all face the same risk in this day and age; and the extent to which you can protect the data is tightly linked to the budget you’re willing to allocate to that risk. Hi-Tech Security Solutions: How will the current state of visitor management change when POPI is in effect? Mark Paynter: In theory, organisations should be ensuring POPI compliancy already, because although the act is not yet being policed or enforced, it is already signed into legislation and is operative. I envisage that all manual and paper-based VM processes as well as non-compliant digital VM processes will be viewed as illegal and irresponsible in the not too distant future. Gary Chalmers: This has been dealt with above. I believe that currently an estimated 95% of all businesses and property owners are in contravention of the POPI Act with their current visitor books and manual systems. Over the next few years this is ultimately going to become a major issue – especially once an example or two has been made, something I believe is coming shortly. Barry East: Whether your site is on-premise on a traditional server, or on a VM server, or in the cloud in a hosted VM environment, the requirements to meet the POPI Act will be the same – there is no different rule for different technologies. However, certain hosted environments have the option of additional security and protection as part of their extended offering, which go a long way to addressing the POPI need. A good example of this would be Microsoft’s Azure environment, cloud-based servers that provide guaranteed up time, data encryption and enhanced protection against such threats as hacking. Hi-Tech Security Solutions: If you were to advise on a new visitor management project, what are the top three pieces of advice you would offer to the customer to ensure the final solution is effective, reliable, legal and safe for users? Mark Paynter: Data security – does the VM service provider conduct independent annual third-party audits for data security and POPI compliance, and is regular penetration and breech testing conducted on their hosting servers? In this day and age, every service provider should be required to prove that they are handling data responsibly and securely and that they have completed an annual audit stating that they adhere to industry standards for data security and privacy. For SaaS (Software as a Service) VM service providers, have they passed a penetration test in the past 12 months? Do they have third-parties regularly perform penetration tests? Live ID screening – does the VM system conduct a live compliant ID check? If it doesn’t then any fraudulent and fake details or ID credentials will go unchallenged making the system a toothless watchdog. Watch lists/do not admit listing – does the visitor management system have a global ‘watch list’ or ‘do not admit’ list for all locations within an enterprise corporation or all companies in a multi-tenant environment, and is the service provider able to integrate with law enforcement and intelligence watch lists to ensure that high risk visitors and vehicles are flagged? Organisations with multiple locations and facilities down the road or in another province, need to be able to update and share a barred visitors list, in real time. Some visitor management solutions integrate with corporate HR networks to ensure that ex-employees, disgruntled ex-customers, and those that should otherwise be barred from your building are denied access. • A clearly defined collection methodology that ensures that you get clear and accurate data which is usable in the case of an event such as a fire or theft occurring. • A clearly defined methodology for storing, retrieving, displaying and disposing of the data stored in the system that meets the requirements laid down by POPI. • A system that meets the above criteria, but is convenient and not too overwhelming for first time, and especially returning visitors or contractors. 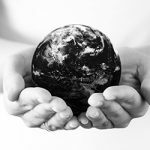 Barry East: My first question would be, do you have the in-house IT expertise to design, deploy, configure and manage a VM environment, whether on-premise or in the cloud? This is a crucial question as IT expertise is a must. Depending on the answer, it would dictate whether this function is undertaken in-house or outsourced. The next focus would be on whether your stored data is critical to your operation, and if you’re able to comply with ISO 27001 standards. And finally that there should be an annual IT audit to ensure ongoing compliance, with a full risk assessment to ensure you meet changing circumstances. Most people have encountered the dog-eared visitor logbook when visiting either a business or residential estate. Their role as a so-called security tool is however rapidly slipping into obscurity as estate managers realise that they are, for the greater part, totally dysfunctional and highly inaccurate. The advent of electronic visitor management systems provides a most welcome and noteworthy alternative to the archaic paper-driven system. Added to the fact that the traditional visitor log book does not allow rapid look-up of visitor details, other issues have cemented its imminent demise. These include the fact that any information contained therein can be conveyed to potential criminals or covert marketing agencies when the book is purposely handed over, or it is lost or stolen. Mark Paynter, Ideco business solutions executive, adds that on all the estates that have implemented the company’s EVIM biometric readers, there have been reports of zero crime. This he says is due to the fact that it is the only device on the market that offers the four-in-one solution of live ID checking, mobile management via a cellphone app, pre booking via web portal, as well as biometric fingerprint capture. The company runs a central EVIM database that provides flagging of suspicious number plates around the country which is available to select partners. According to Barry East, sales and marketing director at Impro, the primary objective of a visitor management system is to add enhanced security to the estate in identified risk areas. He says that visitors represent a variable because of the level of potential crime they can perpetrate. Estates therefore need to be able to establish the validity of the information being submitted by the visitor and be able to trace the visitor when they are on site and after they leave the estate. It stands to reason that the more credible the information that is collected, the greater the possibility that estate management will be able to track the visitor. Impro’s Access Portal system provides a variety of plug-in visitor management solutions, including third-party visitor management products and biometric devices, to tailor-make solutions for residential estates. John Powell, MD of Powell Tronics, believes that a good visitor management system will effectively bridge the gap between efficiently improving the movement of visitors in and out of premises, and providing a heightened security offering, as it verifies that the visitor is the person they claim to be. He adds that a visitor management system should be geared around improving the visitor experience, but at the same time offer the estate and its residents the peace of mind that security measures are in place to regulate visitor access and have the backup of valid information should an incident occur. Powell Tronics has successfully implemented its standalone PT-SCAN and integrated PT-Guest products into numerous large established premier residential estates, newer residential communities with increasing occupancy, as well as on sites where the residential component of the site is a fairly new addition to the venture, for example wine, equestrian or golf course estates. These two visitor management solutions range from straightforward electronic capturing of visitor details to sophisticated solutions that incorporate advanced integration access control on sites. Paynter says that a visitor management system must clearly indicate who is on the property, must provide an accessible list of visitors and, most importantly, must deter crime. Management should also be able to extrapolate accurate information after events and be able to readily refer back to the evidence log. In most instances, a visitor management system is geared around the security of the residents, rather than as a health and safety tool. Although it can be used to provide this function when estate events are taking place, such as wine tasting or concerts, the ability to conduct live (real-time) identity checks is critical. Electronic visitor management solutions bring a host of benefits to residential estates. East says that not least amongst these is the fact that one no longer needs to comb through pages of scrawled, often inaccurate or falsified information. Instead, one is able to quickly access data in real time and all information is verified when scanning identity books, driver’s licences and vehicle registration plates. Furthermore, electronic data can build a reliable timeline on the visitor’s record in terms of the frequency and nature of their visits. This information also provides the ability for it to be used in authorisation processes to determine whether a person is eligible to enter the estate. Since pre-registration can be performed prior to the visitor arriving on site, the validity of their registration and whether they are directly linked to a specific resident can be determined. Even with the best intentions and strictest guidelines, estates are often faced with unannounced visitors who have neglected to follow the correct pre-registration channels. Unannounced visitors are the most time consuming so estates are advised to speed up the access process using prearranged visitation. This implies that the visitor needs to undertake a pre-registration process using various methods that include online web (cloud) registration or by receiving an automatically generated PIN code via SMS which they enter on a terminal keypad when they reach the estate. East recommends that estates automate the data collection process to populate the database. Some of this information can be linked to a third-party database that provides confirmation of their identity and adds credibility to the process. It is critical that estates should close the loop by confirming that the visitor is actually expected at the estate by a resident and is not arbitrarily visiting the estate. In addition, the system should be able to establish the visitor’s exact whereabouts on the estate to ensure that they are visiting the correct person. In most cases, on sites on which Powell Tronics has implemented PT-Guest, using the P-Tron handheld verification devices, the security at the estate perimeter entrances can capture new visitor information and double up on the pre-authorised visitor authentication, by simply scanning their ID or driver’s licence and vehicle registration and inputting any other additional information required such as contractor company, telephone number, number of passengers and in-lane biometric enrolment. Powell adds that estates are considered to be private property, so the right of admission can be reserved by the facility. Estates and gated communities are advised to carefully evaluate their policy documents to ensure that there are no loopholes in this regard, with zero tolerance being the appropriate course of action. One way to avoid any confrontation or issues in this regard is to ensure that on the pre-registration form or confirmation email/SMS, a clause is added that stipulates that the presentation of identity documents and driver’s licences is mandatory. After-hours emergencies are another exception to the rule which need to be handled with discretion and subtlety. In general, residents should inform the estate security that an emergency vehicle will be arriving to attend to their particular emergency. However, East says that it is always good practice to verify the identity of the emergency vehicle driver to ensure that they are not criminals in disguise. A number of products are available to streamline the process of registering visitors, with Internet based pre-registration being the most popular. Residents and visitors who are concerned about the protection of their information can rest assured that the encrypted access code provides complete information security. The information gathered remotely is then downloaded to an on-site system which means that when the visitor arrives at the estate their information is already in the database and a simple verification process is all that is required, using their ID book and driver’s licence. This will drastically reduce on-site visitor registration times. Powell says that in instances where a visitor regularly visits the estate or will be spending an extended period of time, they can be enrolled as a long stay visitor on the access control to further speed up the entry process as in this way they will not be required to register as a visitor every time they arrive on site. As per the physical registration process with identity documents, the data will be captured on to the estate’s database. This philosophy resides as the heart of Impro’s Estate Portal solutions.The modern estate management solution needs to quickly provide a picture of who is in the estate and their inter-relationships, for example the residents and their vehicles, or residents and their domestic employees, or visitors. Add to this contractors, estate employees and visitors for events or sporting activities, and the picture can quickly become blurred. Estate Portal’s detailed approach to creating profiles, and the linking of these profiles, allows a single system to deliver an holistic estate management framework that quickly gives the information required. For example, a domestic worker can be linked to a specific resident in the estate, and access rights given for certain times and days. At the click of a button, this information can be quickly accessed, for example to produce a list of all domestic workers on site, or all people associated with a particular property. simply because a person says they work for a particular resident, does not automatically mean it’s true. This understanding is the cornerstone of Impro’s visitor and contractor management module, which seamlessly integrates into the Access Portal access control platform. In order to validate the information given, Access Portal performs a check of the visitor’s credentials from a known source, such as the resident or homeowners’ association. Through a cloudbased pre-authorisation module, residents are able to pre-enrol expected visitors and/or contractors through a standard web browser or a smartphone app. The system is further enhanced as information can be accessed in real time, or retrospectively, through specially tailored reports which show the relationship between the resident and visitors or contractors. A key feature includes the ability to quickly view the number of visitors or contractors on site, those that have left the site, are no-shows, or have overstayed their allotted time in the estate. [container][text_output] Hosting is in. In almost every market and industry around the world, companies and individuals have been persuaded to host many of their systems and applications with a service provider. The idea is that you no longer have to worry about technology, but simply use whatever you need as a service. Accounting software is a good example of this. In the past, companies would have their own accounting software installed on site, probably on the accountant’s computer, from where the financial person or people would manage the business’s money. Today these same accounting packages are not sold on a CD, but as a service. To use the software you log onto a site on the Internet and away you go. In the security world, things are going the same way. Hi-Tech Security Solutions has regular features on remote monitoring and hosted services. Many companies out there are looking to rent you a surveillance solution (or any number of other solutions) for a monthly fee. In return, they promise to look after the hardware and make sure it’s working, while often also providing monitoring services. The benefits they offer are impressive. You don’t have to lay out a large chunk of cash or get a loan to pay for the solution as you rent it month to month. All the additional costs one often forgets, like maintenance and repairs are included so there are no surprises. And you get tax breaks. When discussing hosted solutions, the question of privacy often comes up. Who has access to your data or to your video feeds etc.? To get under the hood of a hosted solution from a local company, Hi-Tech Security Solutions asked Barry East, sales & marketing director of Impro Technologies for some insights into the company’s solution. Impro has a long history in the South African market and manufactures locally as well. So, what is it doing in terms of hosting and how have clients reacted to the option of paying for a service? East explains that Impro’s access control software, Access Portal, is available as a single site installation in the cloud. The traditional access hardware, such as the door controllers and readers are still installed on site naturally, however the operator and management software is hosted in the cloud. It is also where one enrols personnel, such as employees, into the system. All configuration changes and tag holder details are downloaded to the hardware on the site as and when they happen. The hardware then requires no real-time interaction with the server to operate 100% as configured – a critical factor in an environment where connectivity may not be reliable. Where there are bandwidth issues, Impro’s solution can also make use of high-speed GSM connectivity. “Through the continued investment and drive of the GSM sector, it has had a strong ripple effect onto other industries such as ours because we are able to use GSM as a backup solution for our cloud services. While the service provided may carry the ‘hosted’ tag, the result isn’t really any different to a traditional onsite solution. East says that the service is the same as the traditional onsite solution in that customers receive the same functions and features. The benefits, however, are that the client doesn’t require a full IT infrastructure, servers and the associated skills to maintain and manage that infrastructure. “In addition, the service can be rapidly expanded even if there is no fixed line infrastructure in place – often a challenge in more remote locations, or when going into certain African locations,” he notes. When it comes to security, East says the threat to security data is the same as it would be for any Internet connected server – whether in the cloud or on premise. The key is to ensure the correct measures are taken to mitigate and prevent any illegal breach. This is where a cloud or hosted solution may be a better option for some customers, as they are able to pass that responsibility onto their service provider. “At Impro, we take the security of data very seriously. To this end, we use high security servers within the Microsoft fold, which provides customers with guaranteed server uptime. These are also coupled with a service level agreement, so in the instance of a problem, customers are assured of resolution within an agreed framework. East has found that the market is split over the utility or desirability of a hosted solution. He says the market segment is quite specific. At the entry level, companies enjoy the convenience of a hosted cloud solution, however, at medium to large sites they still prefer on-premise solutions. This is slowly changing as the world evolves with more products going into the cloud. For example, Microsoft Office 365, a cloud based office software suite; or there’s Salesforce.com which is a cloud CRM system. Biometrics-based access control and authentication could help universities and colleges to improve on-premise security, while forming the foundation of more efficient student management systems. This is according to Nicolas Garcia, Senior Manager at Morpho South Africa, who notes that security is a top priority at all international higher education institutions, but possibly more so in South Africa, where protest action, violence and arson (among other concerns) have posed risks to students’ safety and university property in recent months.On campuses around the country, protest action has caused extensive damage to a number of institutions. Minister of Higher Education and Training Dr Blade Nzimande said recently that 2015/16 protest action had cost universities at least R300 million in damage to property. In addition, curbing the risk to students’ and staff safety meant institutions has to invest in additional security services. After student protests early this year, University of Johannesburg (UJ) vice-chancellor Ihron Rensburg said that some Gauteng higher education institutions had been forced to spend up to R2 million a month on additional security. To curb the risk of attacks and protests instigated by outsiders, institutions must know who accesses the campus, at what time, and event where they are and when they leave. Linda Glieman, GM Client Services at Morpho partner company Impro Technologies, says: “The problem with traditional card access is that anyone carrying that card is able to enter the campus. Students lose their tags and often go for days without reporting it or needing to access the facility, which creates a security risk. “Managing access effectively for the vast number of students is challenging, and the only way to ensure that the correct person enters the campus is via biometrics, because biometrics can’t be shared, lost or forgotten,” says Glieman. Not only does biometrics allow for foolproof access control, it also presents opportunities for tertiary institutions to build on biometrics authentication systems for systems beyond security, such as payments and exam control. However, to deliver value and effectively secure campuses, the biometrics systems in use must be world class, she notes. “When selecting a biometric product, one needs to select a supplier that has a number years of experience and offers reliable accurate results. Using a lower grade supplier presents a risk to your entire security system. The access control system behind the biometric solution also requires some very unique features to facilitate fast and accurate enrolment and control. Integration with the university student management systems is a critical factor to ensure success in managing who has access to the facility,” she advises.